Benjamin Till’s award-winning musical, Brass, arrives at the Union Theatre as we commemorate and, hopefully, remember, the centenary of Armistice Day this November. 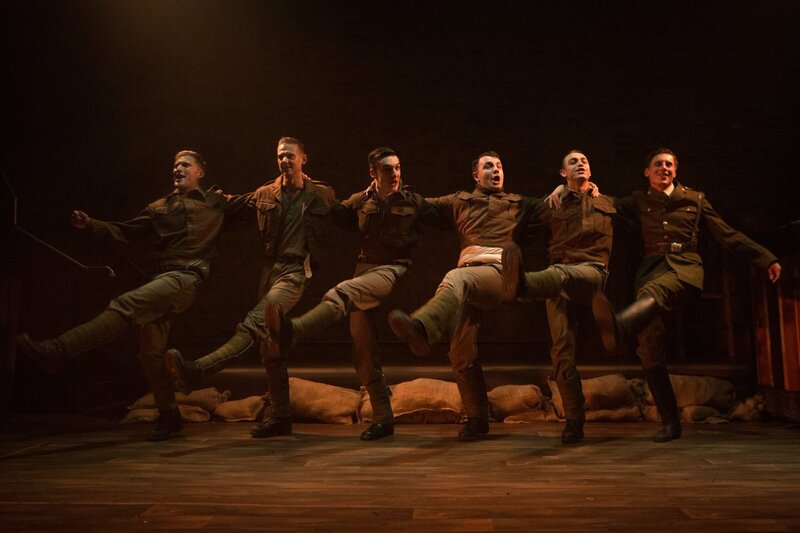 Originally commissioned by the National Youth Theatre in 2014 to commemorate the 100th anniversary of the start of the First World War, the timing of Sasha Regan’s extraordinary production seems even more relevant and pertinent. 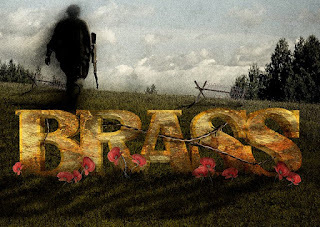 Based on true stories, books and poems, Brass is a poignant tale, set between Leeds and the front line in France, of love, endurance, loss, sacrifice, music and the ultimate futilities of war. It tells the story of a mixed bag of men from an amateur brass band from Leeds who enlist to fight as part of the Leeds Pals regiment – over 60% of them wiped out in the first 20 minutes of the Battle of the Somme. They leave behind their wives and sweethearts to continue their work in the munitions factory. The women learn to play the instruments left behind by their courageous men in the hope that one day they can play triumphantly to them on their return from war. With an exceptional, young ensemble of sixteen, Brass is a triumph for Sasha Regan’s excellent direction/staging, and, as always, Henry Brennan’s musical direction. With a running time of nearly three hours, the word epic might spring to mind, but this is a fascinating, captivating, moving and seriously heartfelt production. 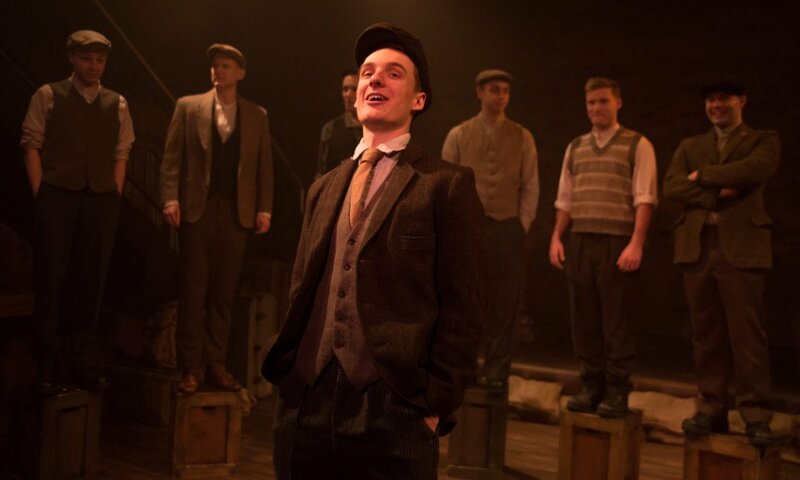 Sam Kipling as Alf, leader of the brass band, gives a stunning performance and sings with great poignancy and strength. His touching relationship with Tom, played by Adam George-Smith, is beautifully and believably portrayed. Emma Harrold as Eliza is pure musical theatre gold, and her correspondence-driven liaison with Wilfred, played exquisitely by Maison Kelley is fascinating to watch to develop and momentarily blossom. Choreographed by Maison Kelley and Kelsie-Rae Marshall, Brass has some inspired movement and dance sequences, and thankfully the Union theatre’s essential kick-line was not missing in the ‘You’ll Always Have A Friend’ number, featuring the wonderful Barnbow Lassies. 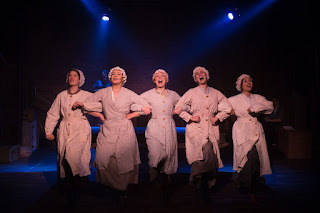 Toby Burbridge’s set and Mathew Swinthinbank’s lighting work in skilful harmony, whether portraying the vaguely joyous moments at the munitions factory or the human hopelessness of the front. 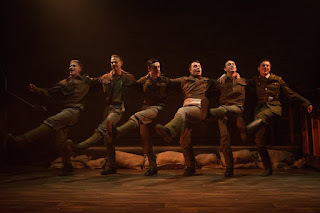 Brass is a production that is led from the front by Sasha Regan but with a gifted troop who has faith and conviction in her vision and executes it with enormous verve, heartfelt poignancy and genuine sincerity. The phrase "Lest we forget" is commonly used in war remembrance services and this production of Brass is a telling aide-memoire to the enormous loss and resonating futility of any war.